It has been established that millennials prefer receiving marketing messages via email over other communication channels. However, some brands tend to make avoidable mistakes, which end up hurting their e-marketing campaign. 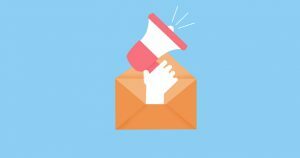 Here are essential tips that will you get stellar results and help you avoid pitfalls that could hurt your email marketing campaign. No one likes reading emails with no personality permeating through the content. As such, it is imperative to engage the recipients personally. It is not just about having a catchy subject line, make an effort of injecting a compelling narrative therein. This serves to ignite interest thus making the sales pitch less abstract to the readers. One of the main problems in email marketing is sending content to the wrong people. Thus, it is prudent to invest in developing a quality email list and avoid channeling your energy in the wrong direction. The point here is that business should always do their best to ensure they only email those interested in their offerings as they are more likely to buy their products or services. Follow-ups seek to help you get answers, especially about missed sales. Surprisingly, only a small fraction of online retailers make follow-ups. Following up on your customers not only helps the business refine its offerings, but it also goes a long way in establishing brand loyalty. Any seasoned E-marketer understands the value of optimising their content for online users. Considering that close to 70% of adults today own a smartphone, which does pretty much what can be done by a computer, most customers are highly likely to access their emails via phone; it therefore equally important to optimise your emails for these mobile users. The effectiveness of email marketing is as relevant as it ever was. The tips shared here will go a long way in helping you tap into this otherwise powerful platform.